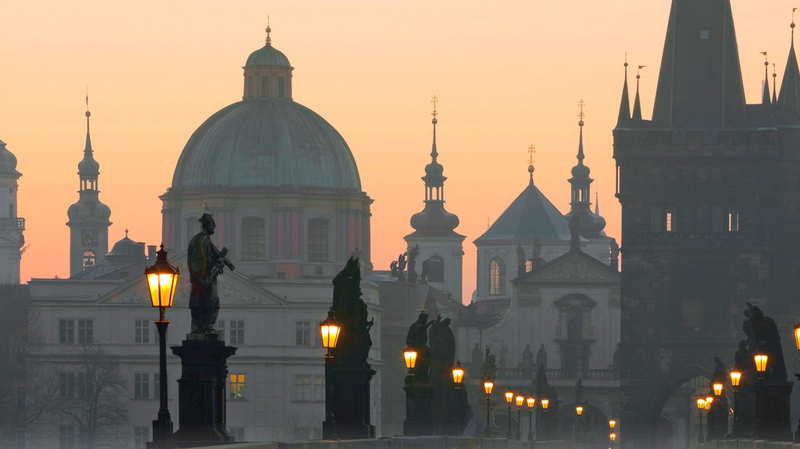 Search for the best flight prices from Stansted to Prague. Compare prices, book today and save money with Stansted Airport. Now counted alongside the great capitals of Europe, Prague has become a destination of choice for exploring the beauty and culture of European history. Here you can literally walk in to history thanks to an abundance of smaller museums and attractions available on every corner. In addition to the city's many cultural and historical attractions Prague is also undeniably a party favourite; with an extensive range of bars, fine dining and an outstanding selection of locally produced beer on offer, to impress and enchant visitors. Prague has become a huge attraction for overseas visitors thanks to its colourful history, and the city’s hotel scene takes advantage of both these facts. Located in close proximity to the Municipal House is the opulent Hotel Kings Court (U Obecního domu 3), which offers a spa and vodka bar, while the equally convenient Archibald At The Charles Bridge (Na Kampě 15) is a more intimate option. For those looking for contemporary trends try MOODs Boutique Hotel (Klimentská 28), or for something more moderately priced consider the three-star Cloister Inn Hotel (Konvitská 14). Head to the Old Town for an abundance of souvenir shops offering all sorts from ten-a-penny trinkets to unique handicrafts. Wooden toys and puppets are a quirky and frequent presence, and there are plenty of gems to be found for those adept at thoroughly browsing shops and stalls. Streets such as Na Příkopě around Wenceslas Square offer more modern shopping opportunities, with department stores and international brands prevalent in this part of Prague. Pařížská Street is found north of the Old Town Square, resplendent with luxury outlets, while Moser (Na Příkopě 12) should be sought out for quality Bohemian glass and porcelain. Prague is a greatly popular destination to visit, and as such there are plenty of superb choices when it comes to dining out and enjoying a few drinks. The Bellevue (Smetanovo nábřeží 18) is a renowned establishment with a pleasant summer terrace set in a 19th-century townhouse, while traditional Czech dishes can be found at Kolkovna (V Kolkovně 8), in the Jewish quarter, and Country Life (Melantrichova 15) is well regarded amongst vegetarians for its healthy and creative menus. Prague is held in high esteem for its dedication to pilsner, and traditional tavern U Zlateho Tygra (Husova 17) is a great spot to get stuck into the city’s beer culture. This festival attracts respected writers and journalists of both Czech and international reputation, with readings and side events a-plenty taking place at various venues around the city, sometimes in English. The springtime backdrop that helps illuminate the city is one of the reasons Prague’s marathon has become so popular. Participants head to the Czech Republic’s capital to make their way through its significant neighbourhoods, starting and finishing at the Old Town Square. Comedy, theatre and cabaret are all prominent throughout the Prague Fringe Festival, a week-long celebration of all things creative. English productions can be found amongst the schedule, which offers an unpredictable and diverse array of performances. Regarded as the most significant cultural event in Prague’s annual calendar, this spring festival boasts a rich past, now approaching its eighth decade. Classical and jazz music take centre stage, with big names drawn to perform each year. A fast-moving celebration of the Roma way of life, Khamoro entwines the various strands of an often-misunderstood culture, from its music to its fashion. There are evening concerts across the week, with a colourful street parade also held.